ISLAMABAD: The Ministry of Defence on Monday informed the Islamabad High Court (IHC) that Pakistan Tehreek-e-Insaf (PTI) Chairman Imran Khan used Nur Khan Airbase to fly to Saudi Arabia for performing Umrah through a chartered flight as the facility was not available at the new Islamabad International Airport (IIAP). “AHQ [Air Headquarters] has informed that the Civil Aviation Authority [CAA] has shifted its flight operations to the IIAP. However, the IIAP does not have the required facilities to operate chartered flights, particularly small business jets, for which the CAA still utilises Rawal Lounge at the Benazir Bhutto International Airport (BBIA) together with a small portion of civil tarmac,” says a reply from the defence ministry submitted in the IHC. The reply was submitted in response to a petition filed by a citizen through Colonel (retd) Inamur Rahim against the use of the airbase by private individuals. For such chartered flights, the CAA does not obtain permission from the ministry or the Pakistan Air Force (PAF), according to the reply. 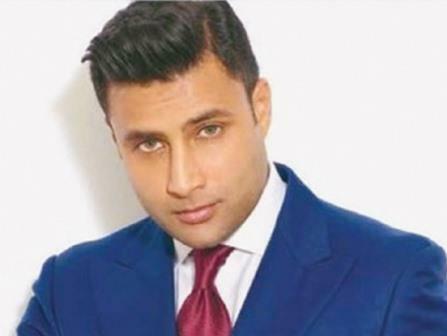 The petitioner also said that the name of Zulfikar Abbas Bukhari aka Zulfi Bukhari, a close associate of the PTI chairman, was on the blacklist. But, he added, Bukhari’s name was removed from the list within half an hour and he was allowed to travel to Saudi Arabia on a mere phone call. He asked whether the name of a person placed on blacklist could be removed by any subordinate officer of the Federal Investigation Authority and whether the defence secretary was empowered to allow any civilian to use a military base for landing and take-off of a private aircraft without security clearance, especially when the name of that individual was on the Exit Control List (ECL). National Accountability Bureau’s Deputy Prosecutor General Sardar Muzaffar Abbasi argued before the court that NAB moved an application before the interior ministry for placing Bukhari on the ECL as he was not cooperating with NAB despite repeated notices issued to him. Bukhari had moved the IHC against his name being placed on the ECL. Bukhari was proceeding to Saudi Arabia alongside Khan on June 11 when he was barred from leaving the country at the Nur Khan Airbase. Bukhari was later granted a six-day permission to perform Umrah by the interior ministry.